If you have ever thought that fashion shows were all about avant guard fashions that could not be worn in real life, then let me introduce you to ESosa, to change your mind. 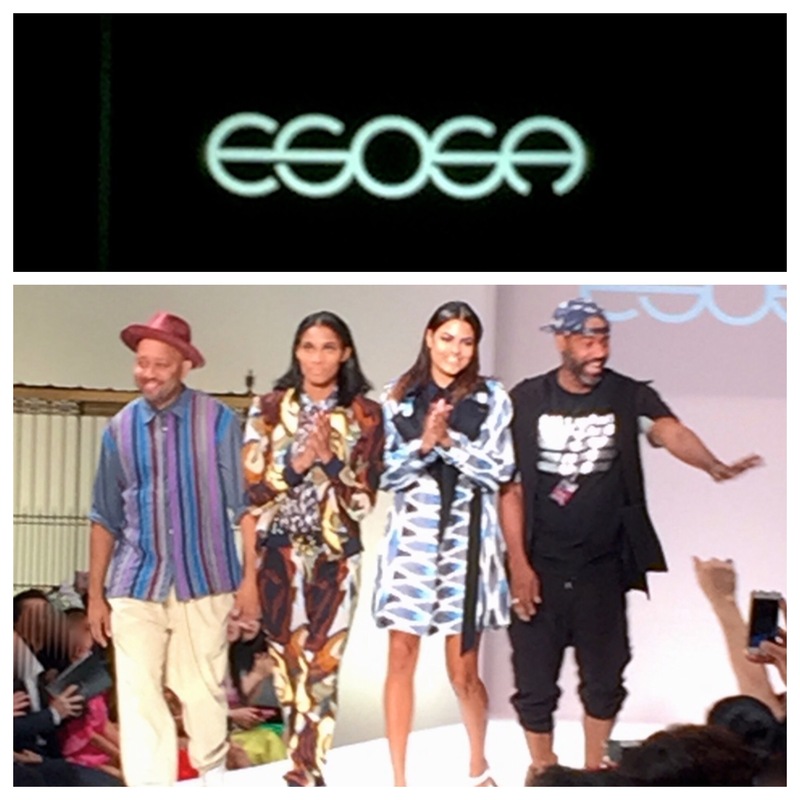 I had the pleasure of seeing the ESosa S/S ’16 runway show, during New York Fashion Week, hosted by Style Fashion on Sept. 12, 2015. 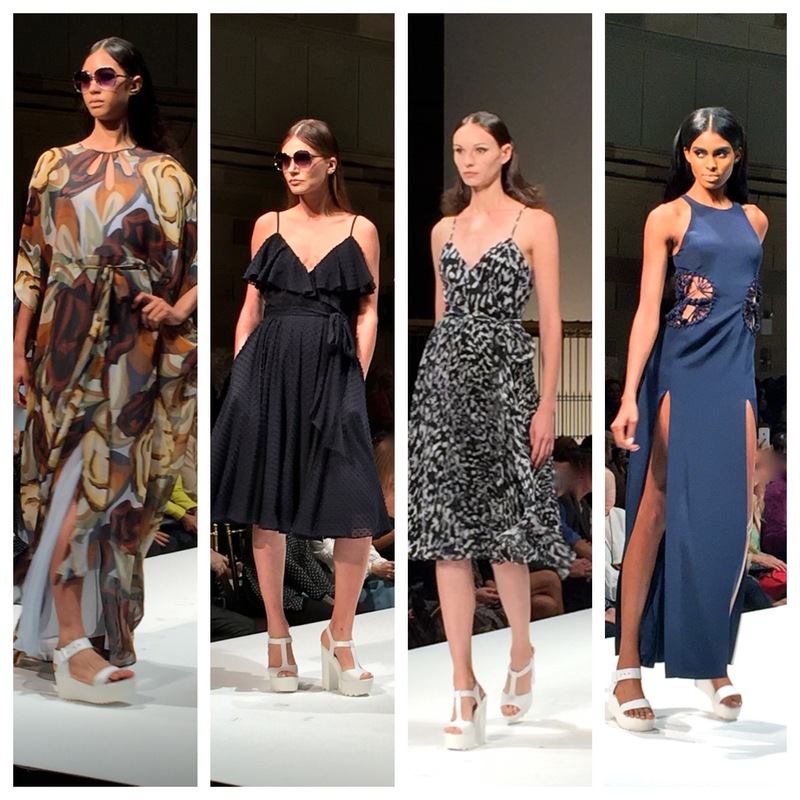 ESosa played with airy, easy, spring-like fabrics such as, chiffons, silks, and dobby for texture. The silhouettes ranged from flowy caftans and dresses, patterned fashion jog suits, and structured pant and skirt suits. The patterns were big and bold matched together as a set or mismatched for a more unexpected look. My favorite outfit was the navy pencil skirt set. 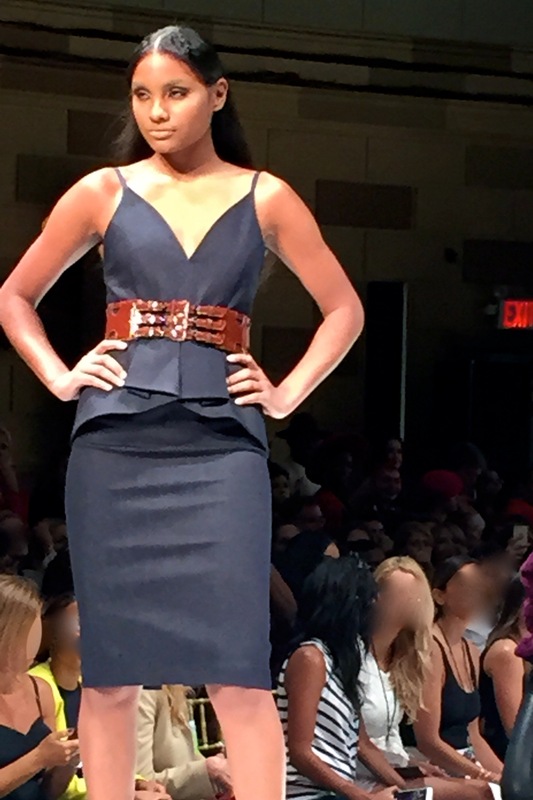 The tank was structured with box pleats, and styled with a brown leather belt for a classy look. Love love love! I am a sucker for navy blue! Great looks, great dresses for weddings and outings next spring, so be sure to put ESosa on your list when you start shopping for S/S ’16. This entry was posted in Uncategorized and tagged #stylefashionweek, #stylefw, #stylefwny, @esosa, fashion, nyfw, S/S '16, Spring '16. Bookmark the permalink.